When it comes to deciding what to wear in the spring, guys face a few challenges. This means that in the spring we actually have to exercise our own discretion and start making our own sartorial choices for the first time in what feels like forever after a few frigid months. Secondly, unlike the fall, spring doesn’t lend itself quite as well to thick fabrics and layering, which means it can be a bit more challenging to put together a classically masculine look. That’s where this post comes in. Below I’ve rounded up 25 men’s spring essentials, starting from your feet and working all the way up to the top of your head. These pieces represent some of the most fundamental aspects of men’s casual spring fashion, and each of them will help you look stylish, cool and confident when the weather warms up. As always, I’ve tried to focus on stores and brands that are easily accessible to all guys. The goal here isn’t to dress like a runway model; it’s to help you cover your bases by choosing the stylish staples that won’t break the bank. And finally, note that some of the links below are affiliate links, meaning that if you click them and end up making a purchase, I may receive a small commission. OK, enough preamble. On to the picks! Nike’s Killshot 2 sneakers have taken the menswear world by storm in recent years, but for my money they have one glaring flaw: the huge Nike swoosh! I picked up a pair in the winter using a gift card I got for Christmas, and I’ve been patiently waiting to bust these bad boys out ever since. Now that the snow is gone and the sun is finally back out, I can’t wait to lace ’em up. *BR frequently runs sales, so keep your eye out for codes that can get you anywhere from 15 to 40 percent off. White sneakers have become so widespread that it almost seems like a crime not to have them, which is exactly why you might want to mix things up and go for something a little different. 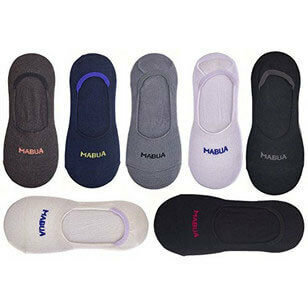 Am I saying women will like you more if you wear these shoes? I am not. My love for J&M is well known, and these are yet another reason why. They took a little breaking in, but they’ve become my go-to warm weather shoe. What I love about penny loafers is that they give you a lot of the comfort of boat shoes (more on which below), but add a lot more refinement to your look. Grab a pair of no-show socks and you can wear them with shorts, pants or even a full suit (if you’re not sure what to wear to a spring wedding, look no further) from now straight through to Labor Day. 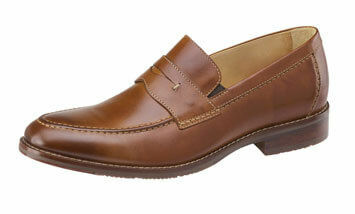 I love J&M, but they’re far from the only game in town when it comes to affordable, stylish penny loafers. 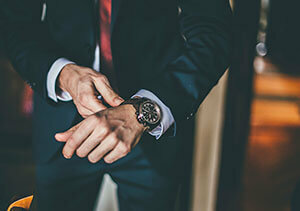 Here are a few more options that definitely fit the bill in terms of style, although note that I can’t personally vouch for them in terms of comfort. As classic as they are mandatory. Boat shoes evoke the easy life and conjure images of sun-kissed skin and windswept hair. 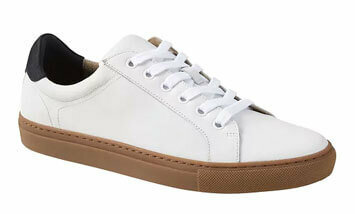 But one word of warning: boat shoes work best with shorts, or at least a light coloured pair of summer-weight pants. (Although personally if I’m wearing pants, I’d prefer to throw on a pair of the penny loafers listed above.) If you’re looking for something to wear over socks or with your jeans, see below. Note that while Sperry makes one of the most classic versions of the boat shoe, there are a ton of other great options online. 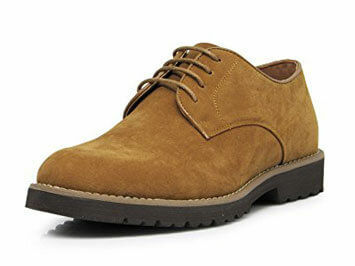 Falling somewhere between boat shoes and penny loafers on the casual-to-dressy spectrum, suede bucks can be paired perfectly with just about any casual outfit. And since suede doesn’t hold as well as leather against snow and salt, the spring/summer window is the perfect time to break them out. 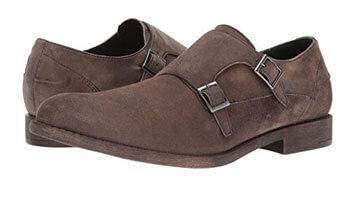 For those who want to step up their suede game even further, suede double monks add a touch of sophistication. You can wear them pretty much anywhere you would wear the suede bucks, but the slightly more unique style will make you stand out that much more. Note: the style on these looks incredible, but there no reviews as yet on Amazon. Up to you to decide whether or not it’s worth the risk. As a Canadian who has to suffer through pretty brutal winters each year, there are few things I look forward to more than the day I can ditch my socks entirely. But for those who prefer to keep their feet covered – or simply work in environments where going sockless isn’t an option – make sure to opt for lightweight fabrics that breathe well and won’t retain too much moisture. The warmer months are also a good opportunity to break out of the blue-grey-green mold and have some fun with lighter colors and patterns. If the socks have the phrase “dress socks” in the title, they’ll probably be thin enough to do the trick. Want to rock the sockless look without dripping sweat into your shoes? Pick up a pair of no-show socks to get the best of both worlds. And don’t make the mistake of thinking that athletic ankle socks will work here. If there’s half an inch of sock and/or a Nike swish creeping up from the shoe, you’ll not only fail to look stylish, you’ll probably look stu—well, you get the idea. 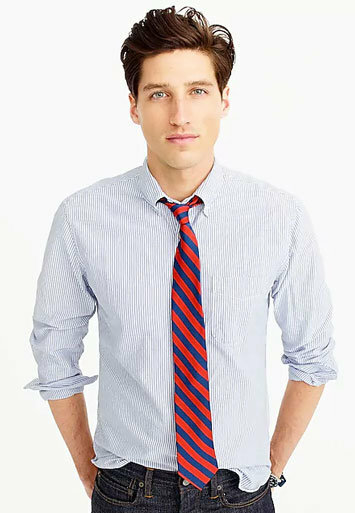 Gap’s slim fit khakis are pretty unimpeachable and come in a huge variety of colors, so you should have no trouble finding a pair that works for you. 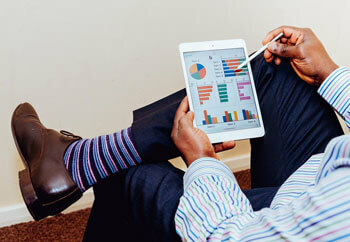 Of course, khakis are pretty ubiquitous, so you shouldn’t have any problem finding a pair at your preferred store. Just remember that when it comes to khakis, fit is key, and you want to make sure to keep yours slim. You and your grandpa may very well own khakis in the same shade, but they had damn well better not be the same fit. In my post about what to wear in the fall I recommended picking up a good dark green pair of slacks. Sticking with green can still work for the warmer months, but I recommend adjusting the shade along with your thermostat. 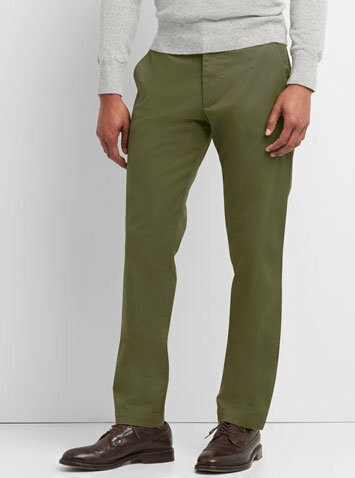 The Gap pants listed above come in a shade called “ripe olive” which fortunately looks much better than it sounds. 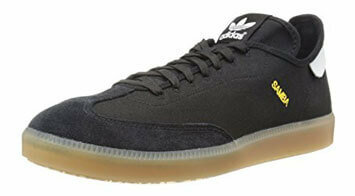 These ones on Amazon from a brand called Inflation also fit the bill. Denim has got to be one of the most versatile fabrics in all of fashion. Not only can jeans be worn everywhere from the office to the pool, they also come in a ton of colors. Not everyone is comfortable pulling a 007 and donning a pair of white jeans, but a light shade of grey can make for a pretty good substitute. If you’re wearing the same pair of underwear in January as you are in June, then your boys must be either shivering from the cold all winter or sweating buckets come summer. As you (hopefully) know, your choice of underwear matters – in more ways than one. In the warmer months, ditch the thick cotton boxer briefs in favour of the type of breathable and sweat-wicking performance fabrics you’d wear to the gym. Spring is a time to slim down in more ways than one. 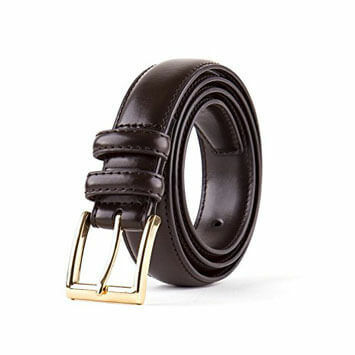 When strapping on a belt, keep its width limited to more than 1.5 inches, and save the big leather belts with the chunky buckles for the fall. Spring and summer also provide the perfect opportunity to ditch the leather altogether and go with a lightweight (and often, stretchy and forgiving) canvas belt, which come with a few different buckle options. Come summer I swear by BR’s luxe touch polo (which they’ve recently redubbed the “luxury” touch polo, in case you didn’t understand the short form), but sometimes in spring the weather isn’t quite warm enough for short sleeves. Enter these excellent long sleeve polos, which provide a great bit of classic-meets-modern style. What I like about BR’s version is that they hug your body well, which evoke the designer (and definitely much more expensive) version Brad Pitt wore in Mr. and Mrs. Smith. 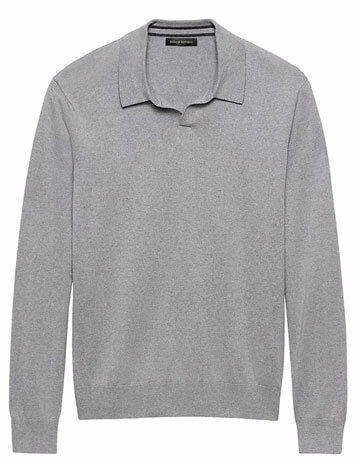 There’s not much left to say about these damn-near perfect lightweight sweaters that I didn’t already cover in my Uniqlo merino wool sweater review. 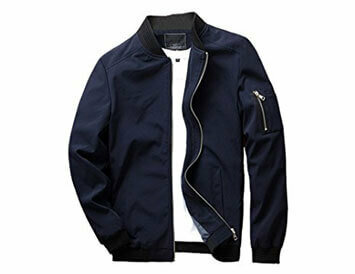 Throw them over a button-up shirt or wear them on their own for a stylish, perfect spring layer. 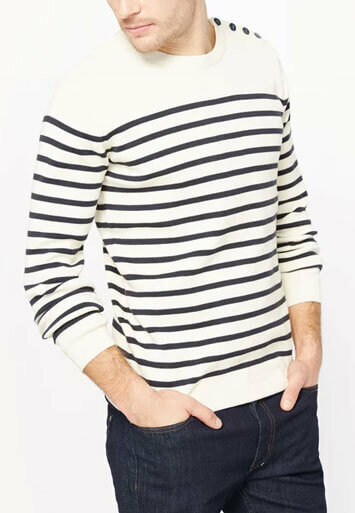 In addition to the v-neck pullovers, Uniqlo makes cardigans in a similar style. What I love about the cardigans is that they fit slim, meaning you look more like LeBron and less like Mr. Rogers when you pull one one. The button down shirt is a staple of a man’s wardrobe during any season, but come spring they become arguably even more essential thanks to their versatility. 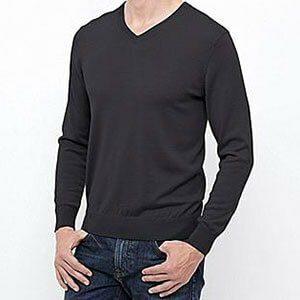 During the colder early months of spring you layer it under sweaters (such as the merino options mentioned above), or wear on their own once it gets warm enough. 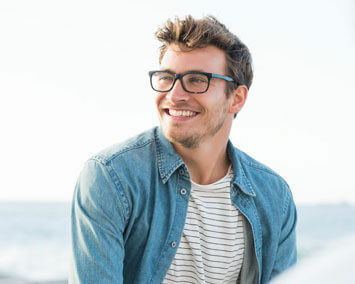 Either way you’ll want to opt for lighter weight options—and if you really want to step up your handsomeness, don’t forget to roll up your sleeves! Megan Collins, better known as The Style Girlfriend, has included in these in her “what women want you to wear” series, and let’s be honest: that’s a much more ringing endorsement than anything I can say. Made famous by style icon Steve McQueen and a perennial classic, Harrington jackets have made a real comeback in the last few years as guys have rediscovered the benefits of dressing timelessly. McQueen wore both a navy blue and a beige version, but personally I love the shade of green Banana Republic has come out with this year. 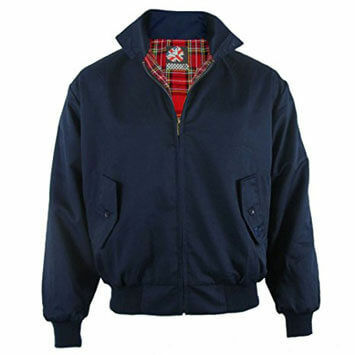 Similar to the Harrington in style but with a smaller collar and a decidedly more military look, bomber jackets have also come on strong in the past few years. 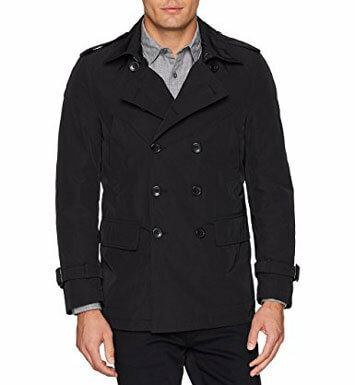 The peacoat is one of the most classic pieces of menswear of all time, and with good reason. Traditionally thought of as more of a heavy-weight fall or winter coat, a few brands have started making unlined, light weight versions that are perfect for spring. 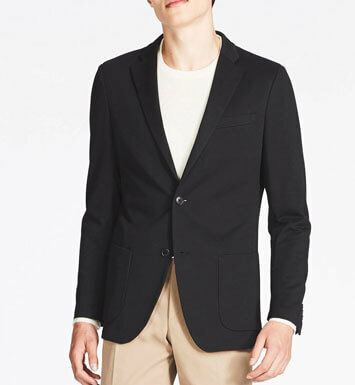 Unstructured blazers strip out all the padding that make suit jackets look too stuffy. Because they have less structure in the shoulders, they give off a more casual look and feel – while still looking a hell of a lot sharper than a hoodie or sweatshirt when you throw it over a t-shirt. 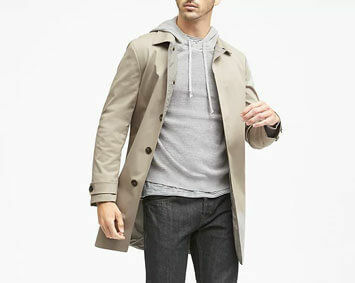 Confession: there’s a part of me that would love to rock a full trench coat. Unfortunately, every time I try one on I feel less like a well dressed man and more like I’m doing some kind of Humphrey Bogart cosplay. The mac is a perfect solution for guys in search of a rain jacket that makes them look more like a grown up, and less like someone who saw a grown up once in a movie and loves to play dress up. 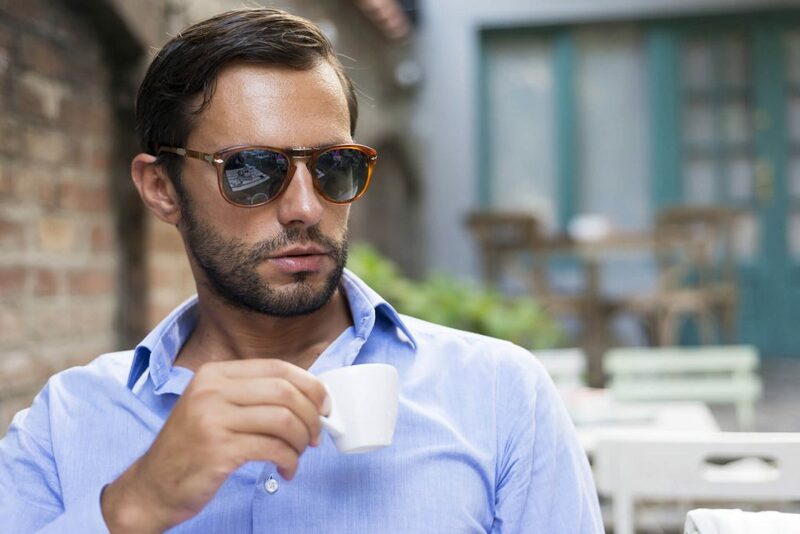 I won’t spend too much time here since I dedicated a whole post to the seven most classic sunglass styles for men. Take a look at that post, choose your favorite style of shades, and rock them all spring and summer. Last year I started carrying a full-length, honest-to-god umbrella, and I have to say: I’ve been converted. 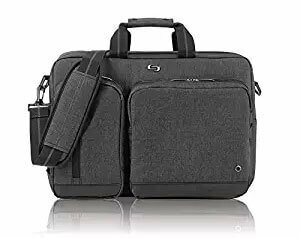 Not only is it longer and sturdier than foldable umbrellas (which is to say, better at blocking the rain), it also just feels good to carry. 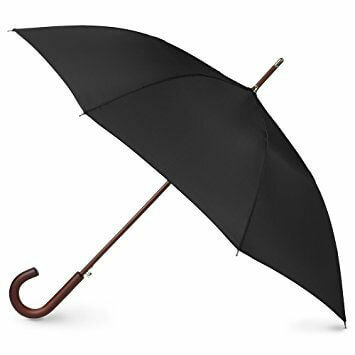 While wearing a trench coat makes me feel like I’m in a Humphrey Bogart Halloween costume, carrying a full umbrella is a nice way to nod to classic men’s style without going full Singing in the Rain. When the weather starts to warm up, a leather shoulder bag can feel cumbersome. But if you still need to get somewhere with your computer or tablet, you can always ditch the leather in favor of lighter materials like cotton and canvas. This one also converts to backpack.